Director Raphael Bittencourt's last film, BID, is going now to Colombia! 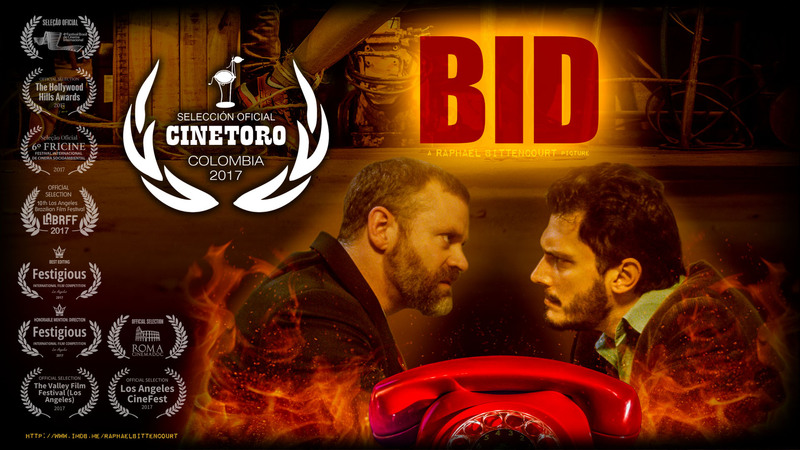 The short film BID, from Raphael Bittencourt, is going to Colombia! Raphael Bittencourt’s last film is officially selected in the CINETORO – Festival Internacional de Experimentación, in Colombia. The participation of the film in festivals in different countries and continents reinforces the idea that the goals of the filmmaker were met: communicate and express (ideas) through art. It shows that people from different cultures, backgrounds, and languages are relating to the whole idea around the story: how corruption affects the lives of regular men. Eight festivals in different countries selected BID already. Raphael has been awarded “Best Editing” and “Honorable Mention: Director” and there are still dozens of other results and selections still to be announced. Besides BID, Bittencourt has also three other films he wrote, produced and directed in the festival run: The Dress, DRY and Absent.